One of the newer farms in the Harvest Time Brentwood family of farms is Kite Hawk Farms. Kite Hawk Farms, owned by Lindsey and Sean McCord, aptly named from the Kite Hawk Lane where the farm is located, offers an extraordinary array of produce. The McCords purchased their 5 acre property in the summer of 2017 and began taking steps to prepare soils for planting in January of 2018. Today, they are a contributing member of Harvest Time in Brentwood and can be found bi-weekly at Brentwood’s Farmers Market. Prior to opening Kite Hawk Farms, Sean and Lindsey McCord had long dreamed of living a simpler life in the country. Lindsey was raised with stories of her grandparents and great grandparents working in the produce and farming business. Her grandfather owned D’Accardo’s Market in Riverbank from 1953-1975. Her great-grandparents grew grapes, almonds, and walnuts in the Central Valley. Lindsey was drawn to farming because of the many childhood memories shared among her family. In a life prior to Kite Hawk Farms, Sean and Lindsey worked in customer service and yearned for a life away from computer screens and fluorescent lights. They enjoyed weekends raising chickens and tending a small family garden. The desire to live on open land, spend the days outside and working with nature became more and more attractive. When the parcel on Kite Hawk Lane became available, they knew it was where they would build a farm and a home. Kite Hawk Farms consists of two main pastures, divided by the tree-lined driveway that leads to the McCords primary residence. Currently, only the ‘west’ field is actively being farmed – however, soils are being prepared in the “east” field. Soon, both 1.5 acre pastures will consist of five separate gardens that measure 65 feet by 100 feet. Once the garden beds are fully developed and producing, the McCord family will integrate fruit trees into the perimeter of the plants beds. 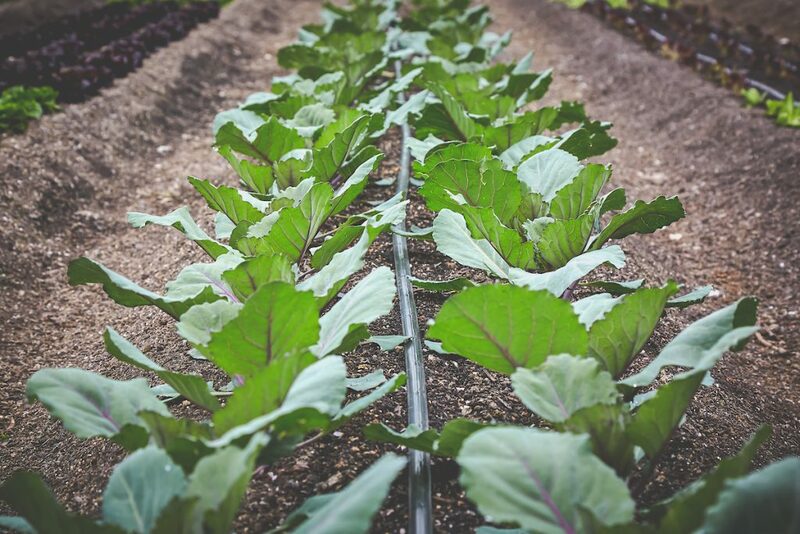 While many estate farms specialize in only a few products, the technology at Kite Hawk Farms allows the McCords to produce a large variety of delicious veggies. 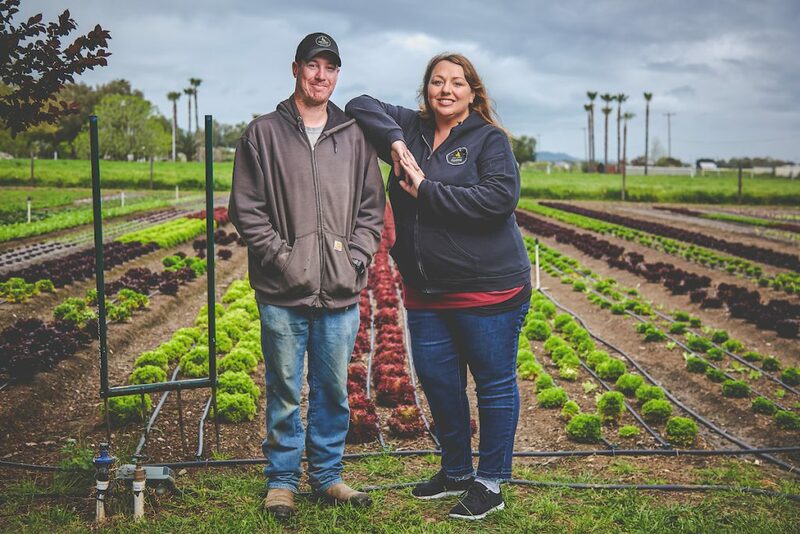 Lindsey and Sean are dedicated to providing the highest quality specialty produce using the newest regenerative and economically efficient agricultural practices. 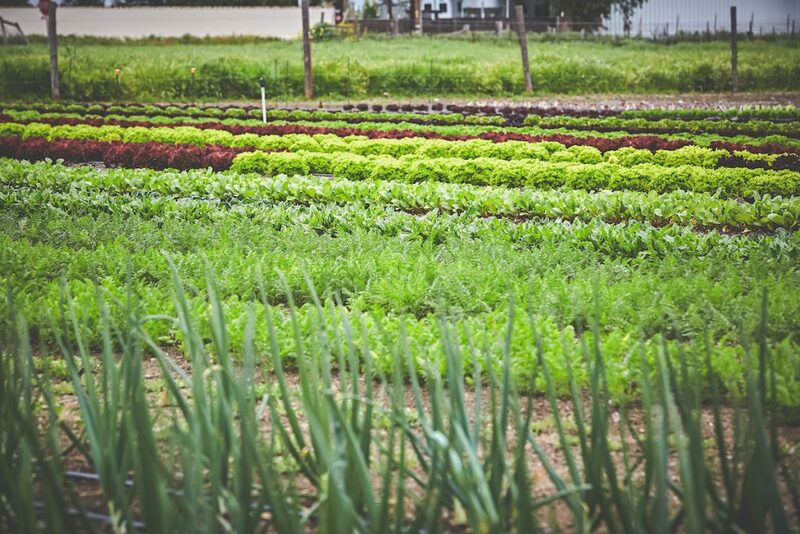 This means that all their produce is hand-grown, maintained and picked. As many large farms demand the use of large machinery, at Kite Hawk Farms, everything is completed by hand – or by using craftsman items such as a flame weeder, broad forks or other makeshift tools. Due to the commitment of farming without large machinery, the McCords have learned to depend on innovative technology to ensure efficiency and productivity on the farm. One unique strategy of innovation can be found within their propagation house. Inside, you will find five 40-foot long tables with radiant heating PEX tubing. 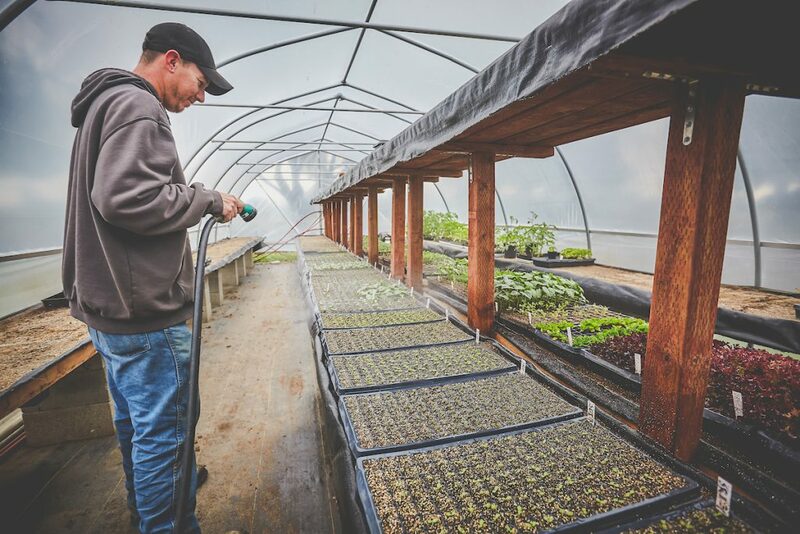 The heat in the tables allows the McCords to start planting sooner – which means their produce gets to market more quickly than other farms. They also use a bubble washer to clean their greens. The bubble washing is a 150-gallon tub filled with water, lined with PVC tubing at the bottom, connected to a jacuzzi motor. When the motor is turned on, the water gently agitates the lettuce and any dirt or debris is removed from the leafy greens. The greens are then left on a drying table where they are ultimately bagged for customers to purchase. The washing and drying process leave the greens crisp, clean and ready to be enjoyed. The produce from Kite Hawk Farms can be found at their farm stand, restaurants, and at the Brentwood Farmer’s Market. They are also expanding their farm tour availability. These tours will allow the McCords to introduce their farming strategies to the community and allow people to taste their delicious variety of produce. The McCords are also planning to expand to other locations where they can further develop their educational programs on farming practices. If you are interested in visiting the new Harvest Time farm, visit the farm located on Kite Hawk Lane. You can also call the farm directly at 925-639-7109 with more questions or to schedule a farm tour.